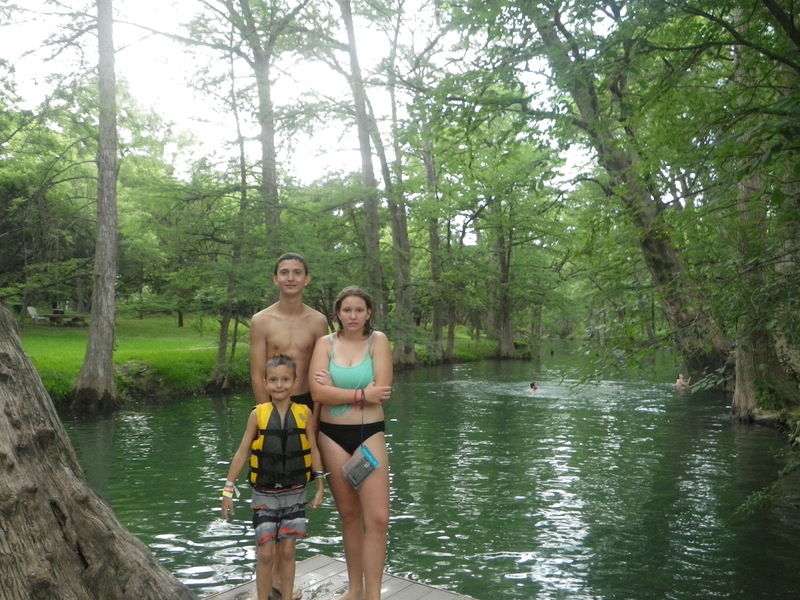 The charming little town of Wimberley has been on the news lately because of the dangerous and deadly flood that occured on the Blanco River during Memorial Day Weekend. 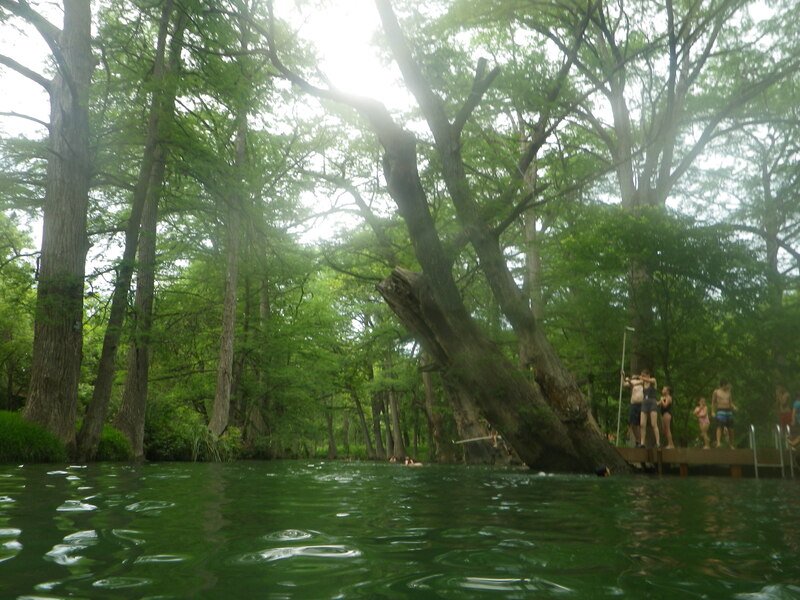 We heard the town’s swimming hole, the Blue Hole, which sits on Cypress Creek was spared from the damage that left so many of the huge cypress trees uprooted along the Blanco River’s path, and the allure of a cool dip in it’s waters were enough to persuade us to plan a visit. Although the best advice I can give you is to just leave your cares and enjoy the clear, cold spring water, I did make a list of My Mommy Tips for making the most of your visit! 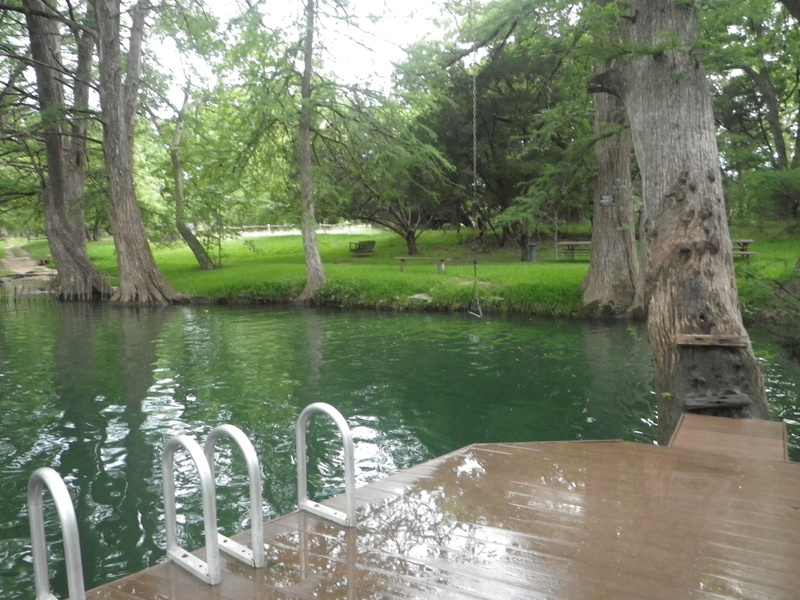 The Swimming Area is part of the Blue Hole Regional Park, which has walking trails, volleyball court, picnic table and grills and is FREE to the public. 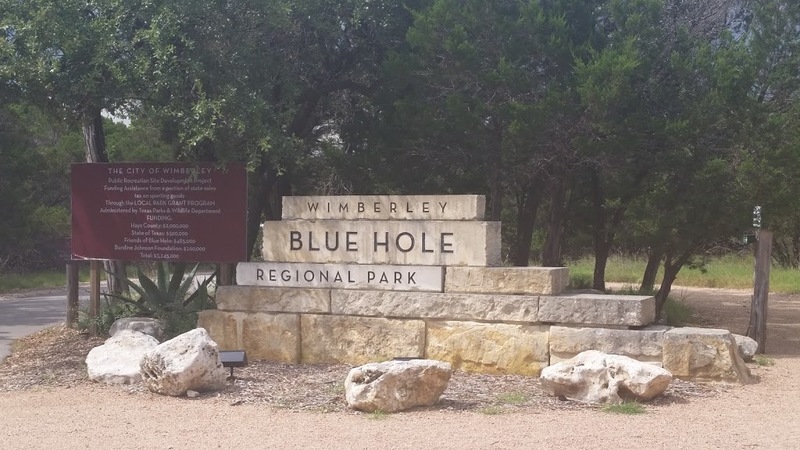 There is only an admission to the Blue Hole, itself. The Swimming Area is open daily from 10am – 6pm. Reservations are required, and does sell out, so make your plans early! Coolers are allowed with no additional charge. No glass or alcohol. Swim at your own risk. There are no lifeguards, and the water is deep. Small pop-up or beach umbrella for shade. Life jackets for younger or weak swimmers. water shoes. Not mandatory but not a bad idea, either. mask and snorkle or goggles to see in the clear water! 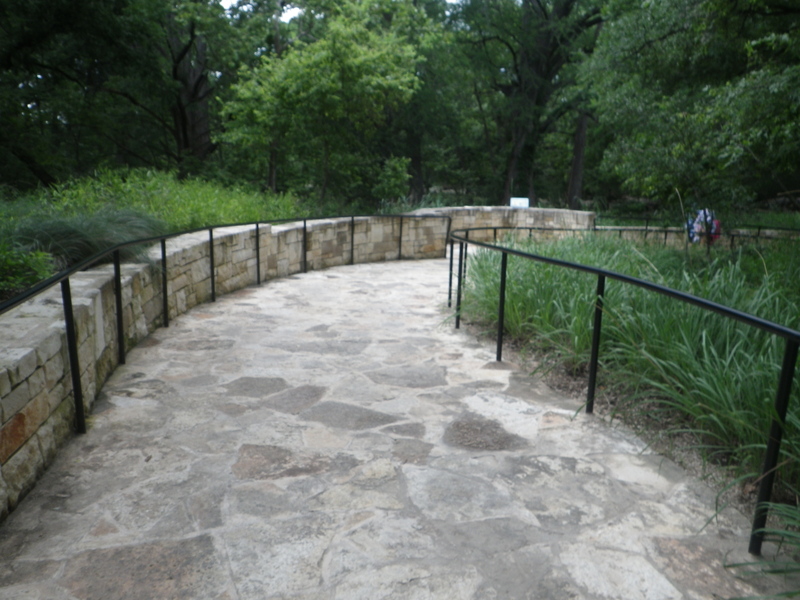 The walkways and grounds at the Blue Hole are nice and well-kept. Staff is great about watching what is going on and keeping everything very family friendly. 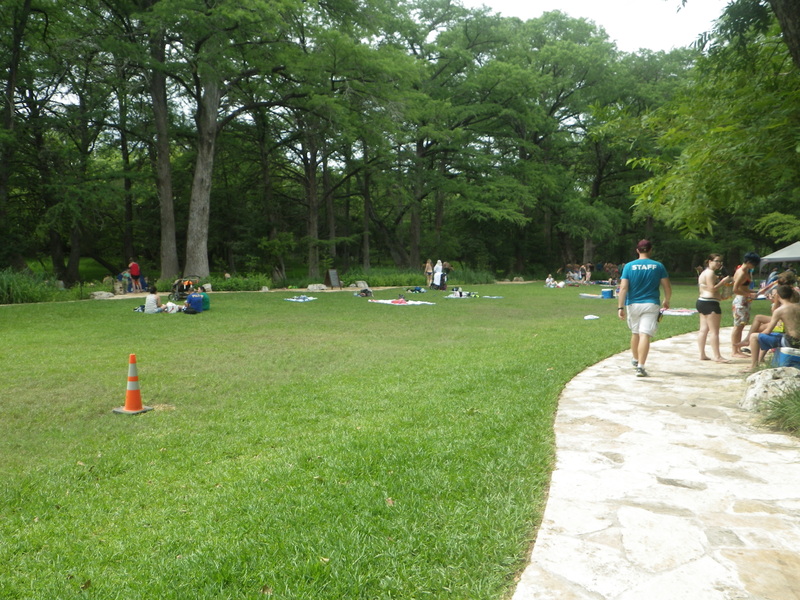 There is a large open area for setting out blankets and chairs, and you can bring a small shade or umbrella. There are not picnic tables in the swim area. The water is cold and clear! It’s also deep, and I most wished I had brought something to float or hold onto while keeping cool in it! You can bring tubes or pool noodles, just keep track of them so they don’t get away and float down the creek! The big cypress trees that line the creek keep the creek nice and shaded. It’s tempting to forget the sunscreen. But don’t. There are two “rope swings” at the Blue Hole, although they are both made of chain hanging from the beautiful cypress tress that line the Blue Hole. 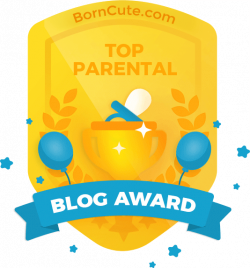 One of the swings is perfect for smaller kids, and my youngest stayed busy on it! There is also a nice ladder to climb back up. The other swing hangs just a little bit higher and is harder for younger kids to reach. Most of the kids using it would set it swinging, then run out, jump and try to grab it! It was really fun just to watch them try! 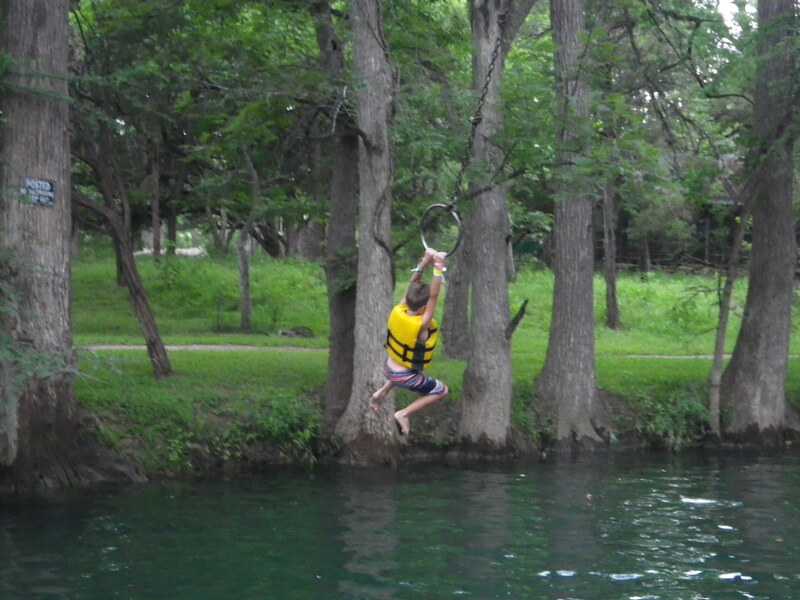 We were able to bring in the rope and swing my youngest out so he could experience it. The water is very clear, and with the help of goggles you can look around the bottom of the cypress tree which is growing on a big rock underwater. We had a great time and stayed until the park was getting ready to close! 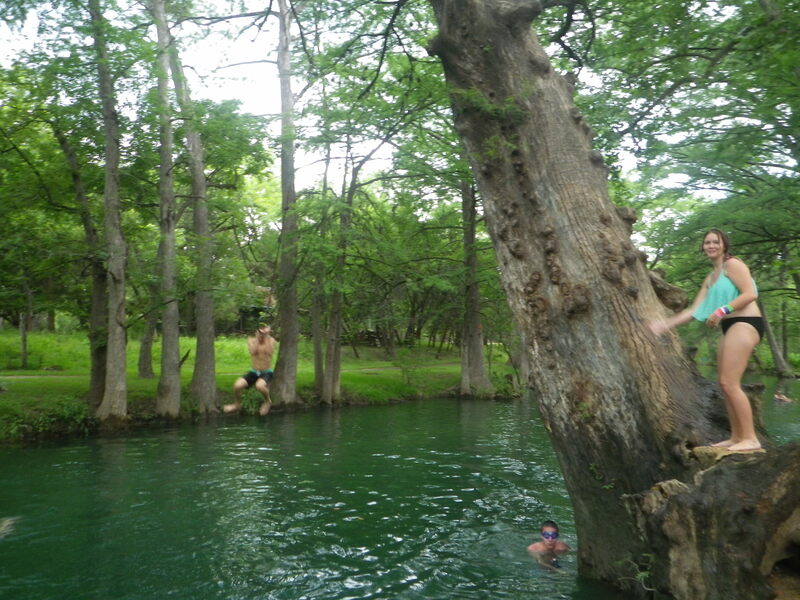 Wimberley is also home to Jacob’s Well, a very popular swimming hole. It’s so popular that reservations are required to swim there! For more information click HERE to visit their website. Picturesque Downtown Wimberley is home to many cute shops. Keep an eye open for the Wimberley Strong flags that line downtown, a reference to the healing and rebuilding from May’s flood. Market Days are the first Saturday of the month, March through December. 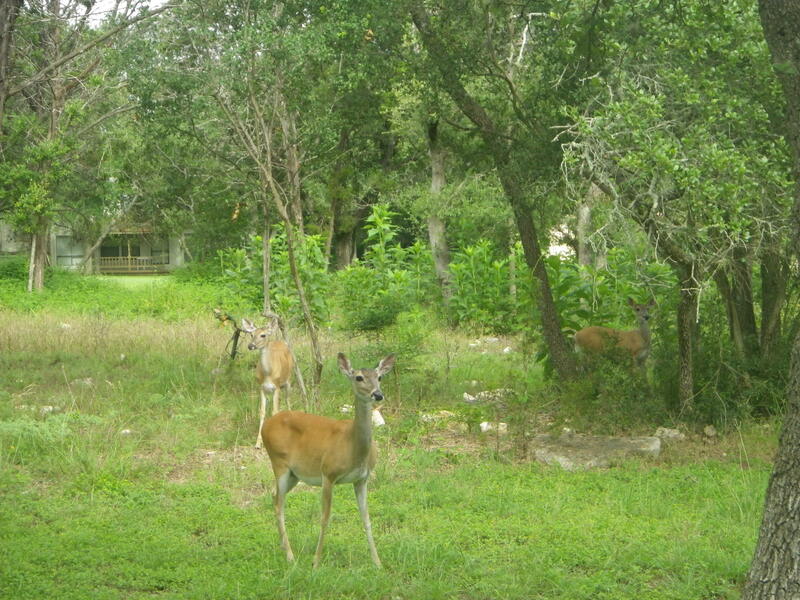 While in Wimberley, we stayed with my aunt and uncle, so I can’t really give you a first hand recommendation for lodging, unless she’ll let you stay with her, and she put out and great breakfast! Just kidding, but I’ve heard great things about 7A Ranch.